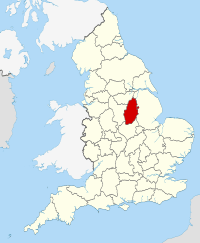 Nottinghamshire (pronounced /ˈnɒtɪŋəmʃər/ or /ˈnɒtɪŋəmˌʃɪər/; abbreviated Notts) is a county in the East Midlands of England, bordering South Yorkshire to the north-west, Lincolnshire to the east, Leicestershire to the south, and Derbyshire to the west. 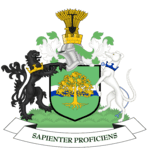 The traditional county town is Nottingham, though the county council is based in West Bridgford in the borough of Rushcliffe, at a site facing Nottingham over the River Trent. 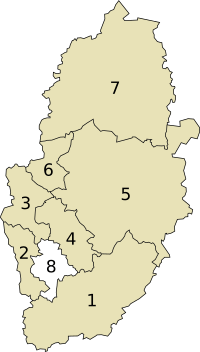 Nottinghamshire Facts for Kids. Kiddle Encyclopedia.